When was the last time a U.S. President was elected with any facial hair? Any guesses? William Howard Taft in 1908. What percentage of current U.S. Senators have any facial hair? Only one Senator sports any - John Hoeven (R) from North Dakota. Excluding the seventeen women senators, this is about 1.2 percent. How about U.S. State Governors? Only three of the forty-four males (we currently have six female governors) have facial hair - so about 6.8 percent. How about the U.S. House of Representatives? Thirty-nine of the 361 male members of the current U.S. House have any beard, mustache, etc. - this is 10.8 percent. The higher the political office, the less the American voter tolerates facial hair. Why? Currently about 33 percent of American males have facial hair. World wide the statistics are about 50 percent. All things being equal, we tend to trust people more when they are clean shaved. This is a statistical but very real phenomenon. Remember - statistics predict the behavior of large numbers - not individuals. It's also true and very intriguing that the arrest photographs ("mug shots") of men wearing any facial hair are significantly above the U.S. national average. Pre-verbal children even prefer men who are clean shaved than those with facial hair. The political-electability trend has been true for more than a century. Although among the general population, the popularity of facial hair will wax (no pun intended) and wane somewhat - elected officials will continue to pick up their razors. In the United States at least, a man is much more "electable" if he has no facial hair. This is an indirect but very powerful metric of trust. 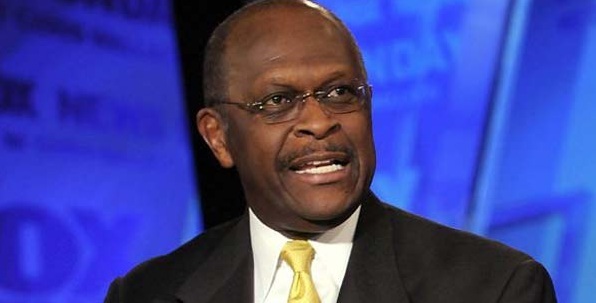 While Herman Cain may be a good candidate - he's being extremely nonobjective and very naive if he doesn't shave his mustache....now. Herman - you can't ignore statistics and the trends as dramatic as those presented in the above paragraphs. Check 'em out yourself.